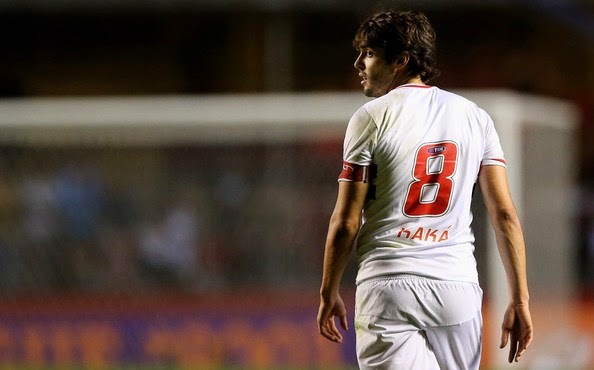 Ricardo Kaka inspired Sao Paulo FC to a fourth-straight victory, topping Santos 2-1 on Sunday at Estadio do Morumbi. The Orlando City loanee played the full 90 minutes before being substituted out in stoppage-time for Hudson. Paulo Henrique Ganso gave Sao Paulo the early lead, smashing in a volley from close range in the 23rd minute. The lead looked short-lived for the home team when Santos’ Gabriel Marcou equalized in the 85th minute after converting a penalty kick, but the equalizer was denied moments later when Alexandre Pato scored the winner after finding a pass from Denilson to slot the ball past the goalkeeper. Sao Paulo look to keep the momentum going when they clash against Criciuma on Thursday in Copa Sudamericana play. Highlights from Sunday’s league win coming soon.